thailand4 — Kevin Taylor — Award Winning, Tampa Based Creative. On our final day we took a shuttle in to Old Phucket Town to explore the city and do some shopping. Once we arrived, we found a driver who offered to take us around town to all of the big shopping areas, plus anywhere else we wanted to go for $12 (all-day). The first place we went was the Wang Talang Jewelry & Gift Center which had tons of jewelry, silks and souvenirs. After spending about an hour shopping we headed for lunch. Our driver took us to a great authentic Thai restaurant. This was probably the tastiest and spiciest restaurant we experienced during our entire trip. 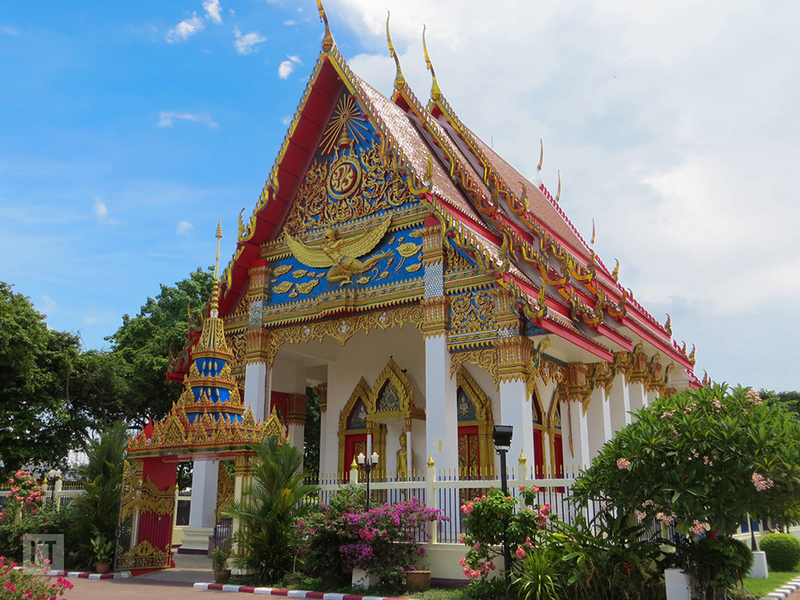 After having a great lunch we jumped back in the car and headed to visit the Wat Mongkol Nimit buddhist temple. The temple was a very beautiful thing to see. 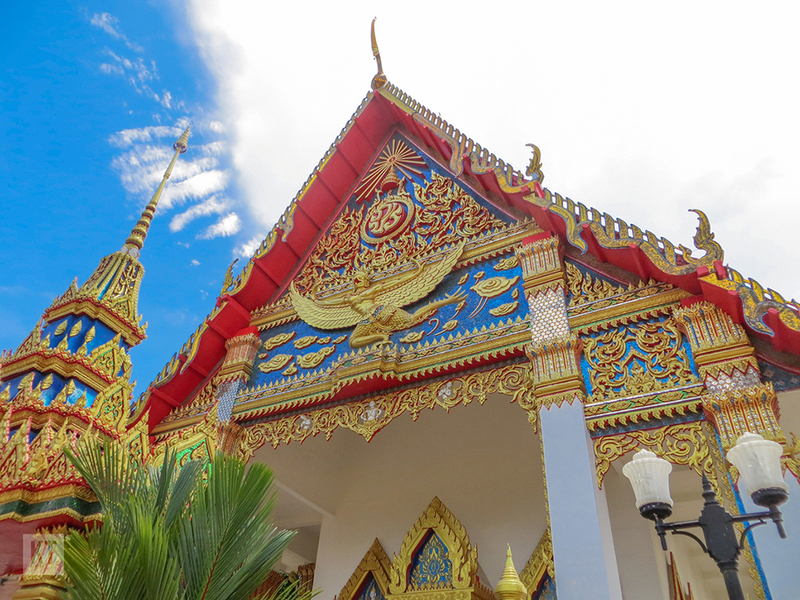 The Thai people do not hold back when decorating their religious sites. Everything was decorated in gold, with bright colored walls and gorgeous floral decorations. 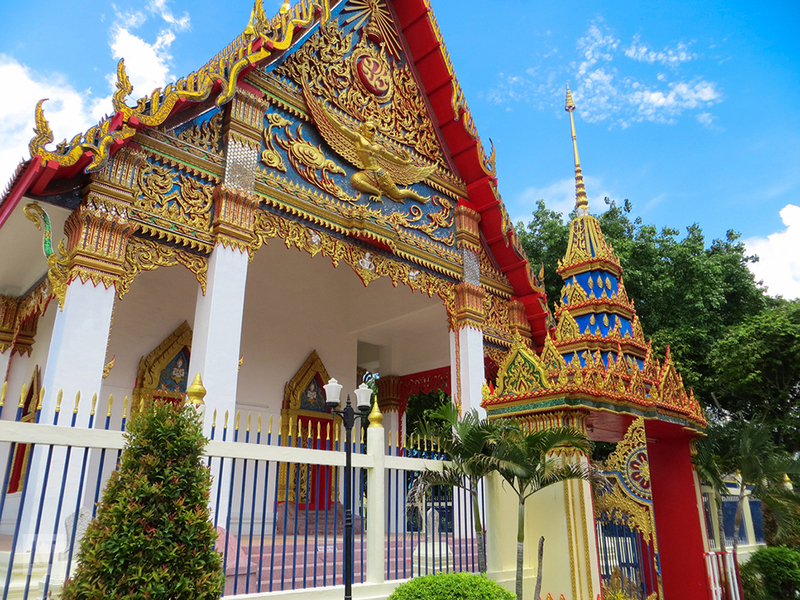 As Kelly and I wandered around the grounds, we could see buddhist monks dressed in their bright orange monastic robes, quietly weaving in and out of the surrounding buildings. After grabbing some great photos of the temple, we jumped back in the car and headed back to the shuttle pick-up. We arrived back at the resort around 4pm and started packing for our trip home. Our flight wasn't leaving until 12:35am, so we had the evening to eat and rehash our awesome honeymoon. Overall we felt like the trip was a total success. 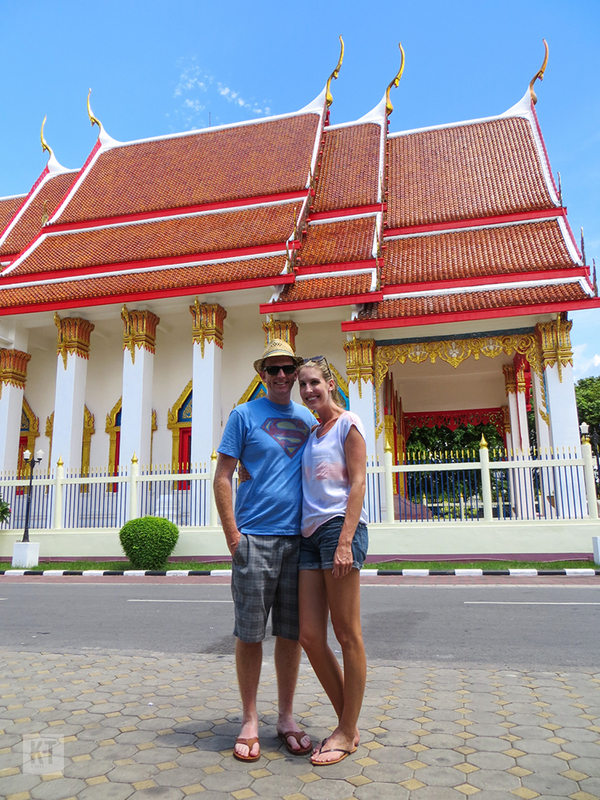 The people of Thailand are the friendliest we've ever met in our travels and the country was beautiful. Our driver picked us up around 10:30 and took us to the airport. 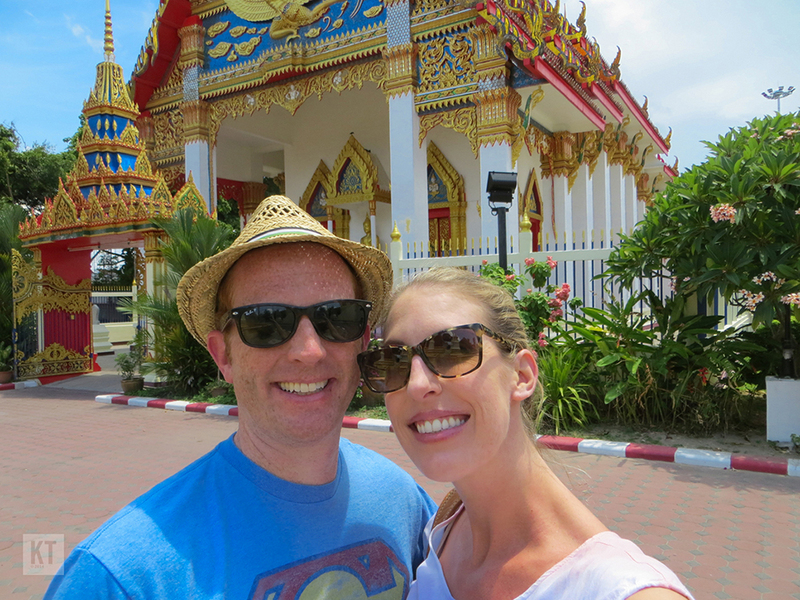 We departed Thailand on time and arrived back in Orlando twenty-four hours later: exhausted, but glad to be home.